A year after its last pocket-sized camcorder release, Kodak has launched the new full 1080p high definition Zi8 this week, boasting an 'aggressively priced' RRP of £150. 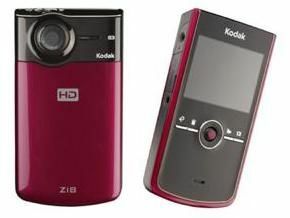 The Kodak Zi8 digital video camera also looks the part, boasting a sleekly pocket-friendly design and built-in electronic image stabilisation. "With the new KODAK Zi8 Digital Video Camera, consumers can capture life on the go in vivid HD, and then quickly and easily share it." The Zi8 will be available in aqua, raspberry and black from September priced at £149.99.